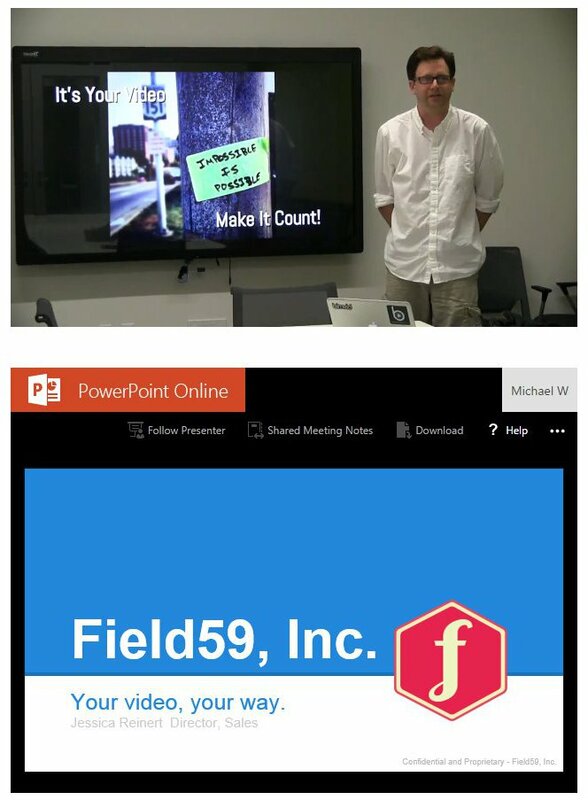 This article describes how to broadcast a Microsoft PowerPoint presentation for use in conjunction with a Field59 live stream. 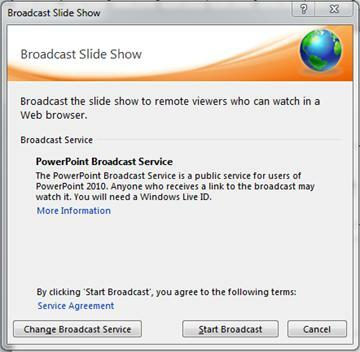 The Broadcast Slide Show feature in PowerPoint 2010 and PowerPoint 2013 editions enables you to share slides over the Web using the PowerPoint Broadcast Service. By iframing a PowerPoint URL onto the same Web page where you use a Field59 live stream event player, you can show slides to viewers as they watch the stream. In order to use PowerPoint Broadcast Service, you must first have a Microsoft/Windows Live ID account. You also need to be connected to the Internet in order to use this feature. The broadcast slide show feature can be viewed in Chrome, Firefox, Internet Explorer, and Safari browsers. Due to the nature of HTTP live streaming delivery, your slides may be up to 30 seconds ahead of the video feed. 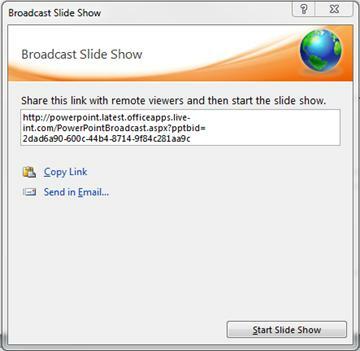 If you are using PowerPoint 2010, on the Slide Show tab, in the Start Slide Show group, click Broadcast Slide Show. The Broadcast Slide Show dialog box opens. Click Start Broadcast. If you are not logged in with your Windows Live ID, you will be prompted to log in or create one first. 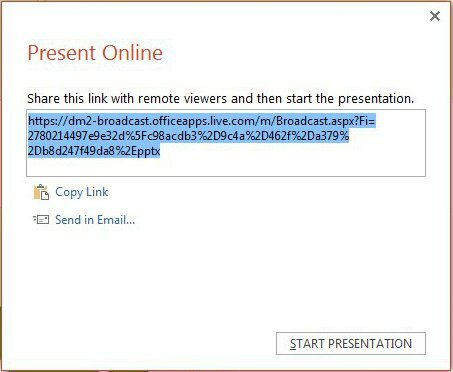 After you are logged in, Powerpoint will generate a URL for you. 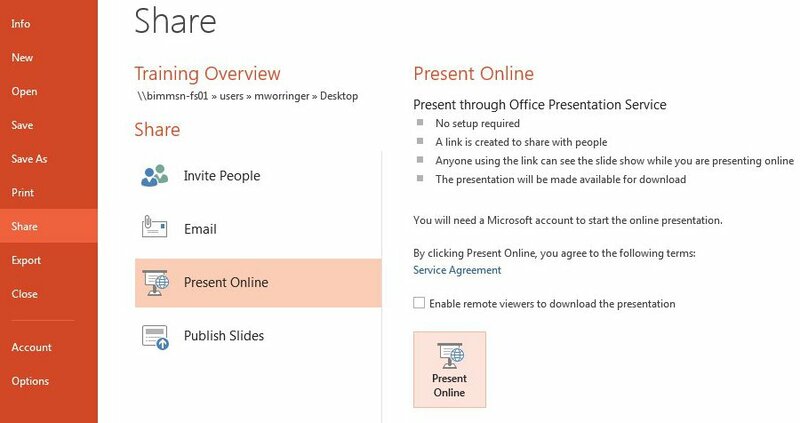 If you are using PowerPoint 2013, Click on the File tab, then click on “Share”, then “Present Online”. You can also adjust the height and width of your iframe as is best needed for your Web page. When you are ready to begin your presentation, hit Start Slide Show (PowerPoint 2010) or Start Presentation (PowerPoint 2013). The audience follows along on the page with the live stream player and the iframe with the PowerPoint, while you present. Please note that the live stream may be slightly delayed compared to the PowerPoint, so best practices are to not rush through slides so that the live stream and slide presentation do not become too out of sync. After you finish presenting and are ready to end the broadcast, press the escape key (ESC) to exit the Presentation view. 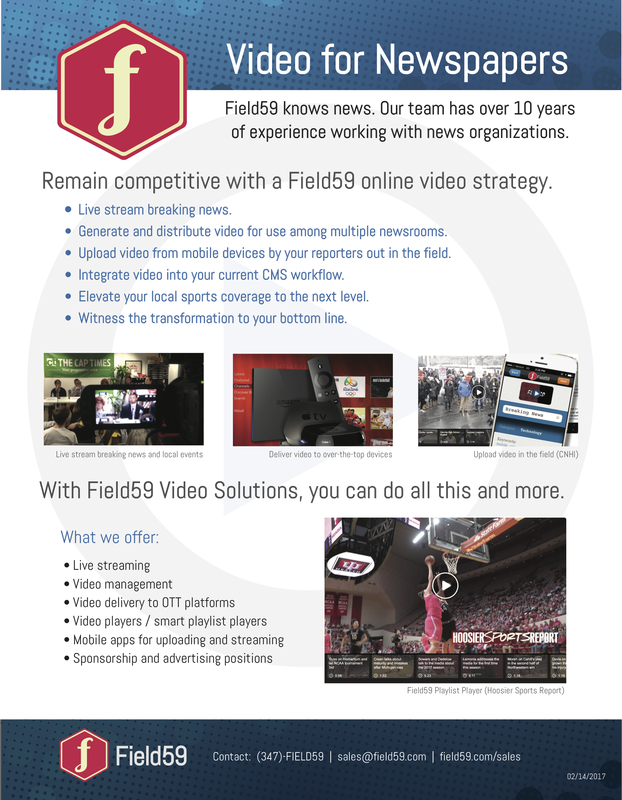 Below is an example of how a Field59 live stream player and a PowerPoint broadcast work together and display to the end user. The stream is embedded on top, and below the player is the iframe that contains the PowerPoint URL.